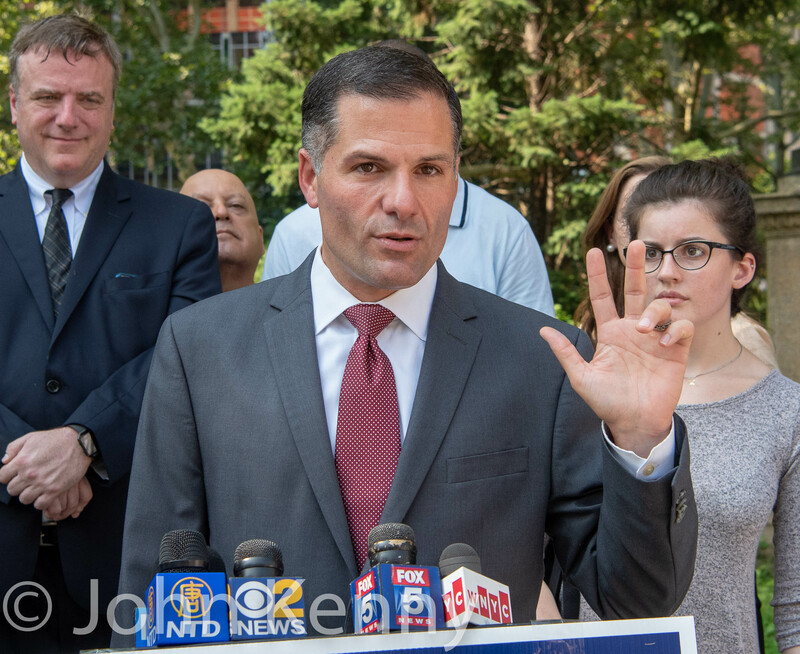 Republican gubernatorial candidate Marc Molinaro unveiled his long awaited proposal for overhauling the MTA, holding a City Hall press conference this morning. It’s an enormous task that involves complex construction and engineering challenges as well as managing the logistics and politics of transit disruptions, all at a huge cost. 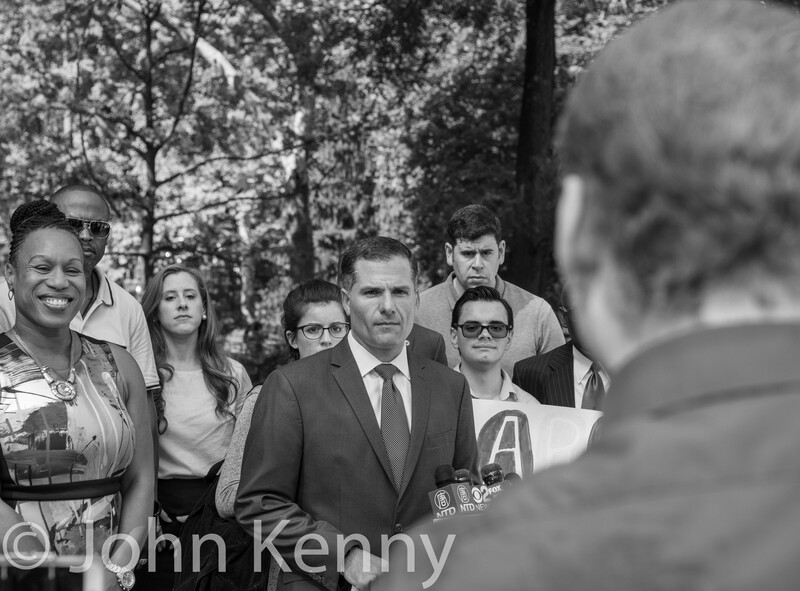 Dissatisfaction with the MTA, especially the subway system, has boiled for the past couple of years and poses both a real challenge to the City’s well-being and to the political fortune of Governor Andrew Cuomo. 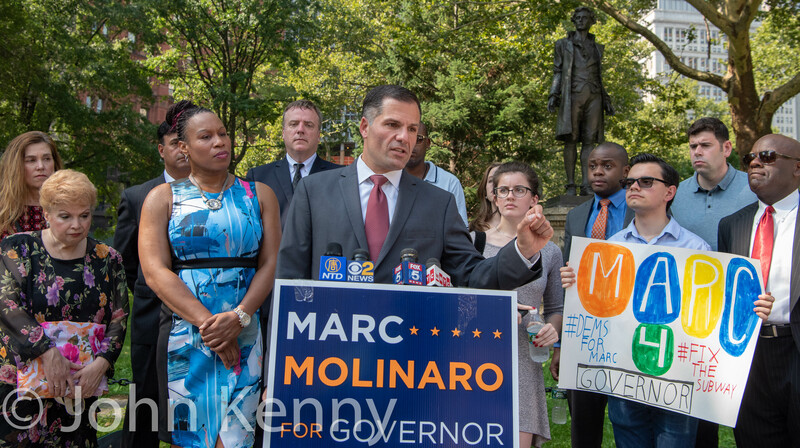 There’s opportunity for Molinaro, but as a non-City pol he faces a large challenge in convincing City and New York City suburban voters that he’s the best choice to repair and expand their transit systems. 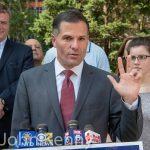 Molinaro was joined by about a dozen supporters, including Brooklyn GOP Chairman Ted Ghorra, congressional candidate (10th C.D.) Naomi Levin, state senate candidate Pete Holmberg (28th S.D.) and assembly candidate Steve Saperstein (46th A.D.).